TV & Reality Jobs>Reality TV Jobs>Now Casting Amazing Single Men (30s-40s) For A New Show On FOX! Are you Living with a Monster-in-Law? Now Casting Homeowners in San Diego County! 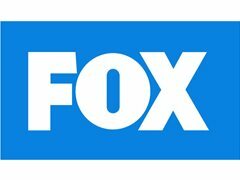 Now Casting Amazing Single Men (30s-40s) For A New Show On FOX! Did you plan on having a family already, but life had other plans? Did focusing on your career replace a relationship? Tired of swiping left and ready to meet your match? This is a great chance to meet a great catch who's at the same stage in life... smart, successful, attractive, and ready to start a family! NOW CASTING SINGLE MEN in their mid to LATE 30's-early 40's who have everything going for them, have checked off all of their boxes, are looking for the real deal and want to start a family with the right person. ?? ?? We are only looking for AMAZING quality men who know who they are and what they want. They have built their careers, have great families and friends and are truly ready for that next phase and their partner. Wanting a family is important to them! Are you single, accomplished, and ready to start a family?